Specify the angle to rotate. 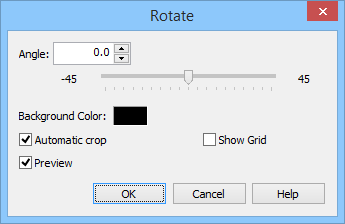 Specify the color to paint the remaining background after rotation. Crop the image to avoid leaving background. Show preview of rotated image.